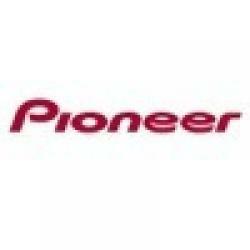 Pioneer Electronics Spain SA, currently known as Pioneer Electronics Iberica SA, was founded on March 21, 1986. It is a subsidiary of the Japanese company Pioneer Corporation and it is located in the industrial area of Can Salvatella in Barberá del Vallés (Barcelona). It also has a modern building of 11,200 m2. Pioneer is a great exampion of the Japanese expansion. It is in 1996, a era of worldwide economic growth, when Pioneer open their subsidiaries in Europe and the United States. The 70s represent their final consolidation as a leader in the research field in the history of Pioneer. Then, in 1986, Pioneer was legally constituted in Spain and later, in 1989, they opened their offices and storage in Barberá del Vallés. 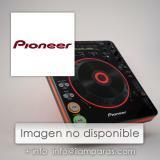 Today, Pioneer is an enterprise specialized in new technologies. Moreover, it is listed in the New York Stock Exchange, the Euronext Amsterdam, the Tokyo Stock Exchange and in the Osaka Securities Exchange under the symbol PIO. Pioneer has a great research and development team, factories located in five continents and subsidiaries all around the world in charge of commercializing and delivering their products. Immersed in new technology, Pioneer has created a series of products that changes the habits of our society. For instance, the domestic DVD players with the most advanced technology and the first DVD recordable computer level and on the world market and the first domestic DVD-Video recordable. The flat or Plasma TV is another technology that Pioneer has betted on, surpassing the latest generation of conventional television in both resolution and brightness. 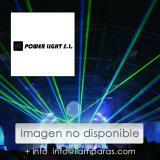 Moreover, the Pioneer Plasma is capable of emitting in High Resolution. Pioneer has developed a own technology called OEL (Organic Electroluminescent Display) used in Display of Radio / CD for the car (3D animation) as well as mobile telephony, etc. ..
Multimedia car Audio, audiovisual and navigation system controlled by voice in our car, and television monitors are other technologies that Pioneer is firmly committed to.